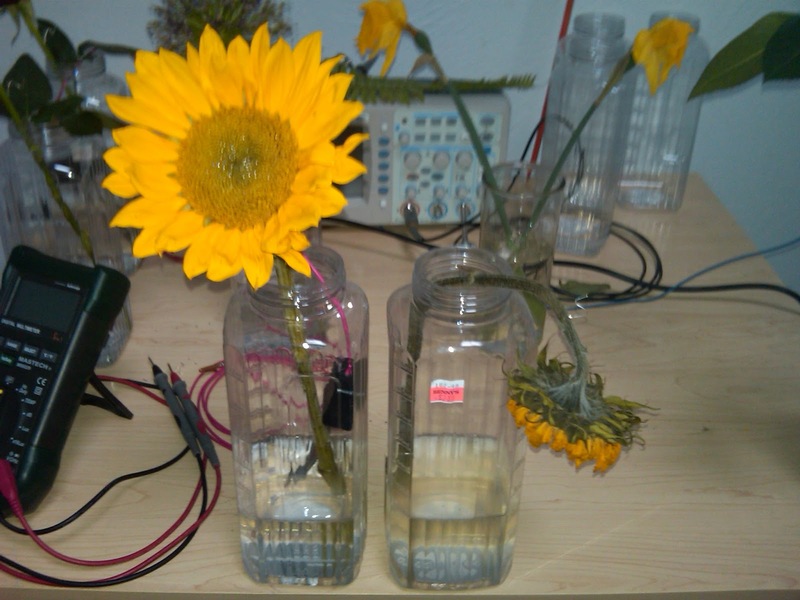 Sunflowers Love Earth & Grow!! 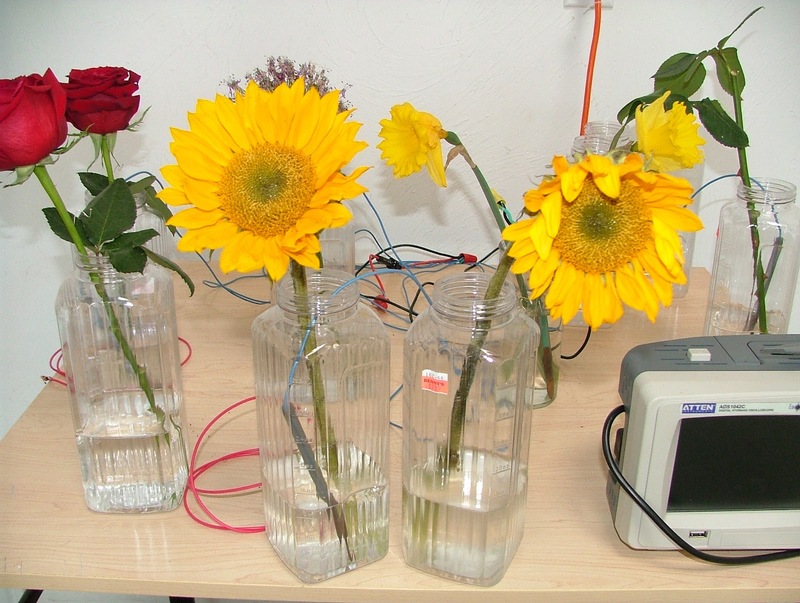 We first discovered the benefits of connecting sunflowers back to the Earth during the spring of 2010. 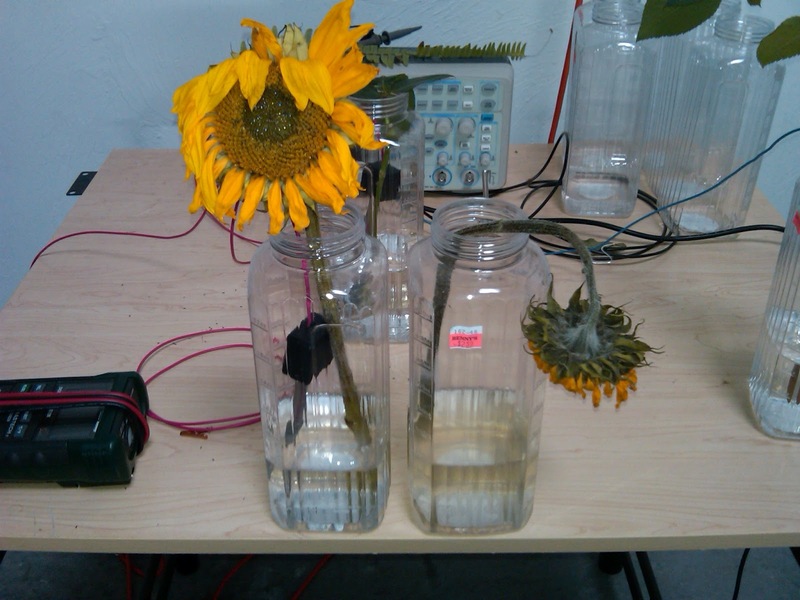 This experiment began April 15, 2010 by placing two identical sunflowers into vases filled with tap water. 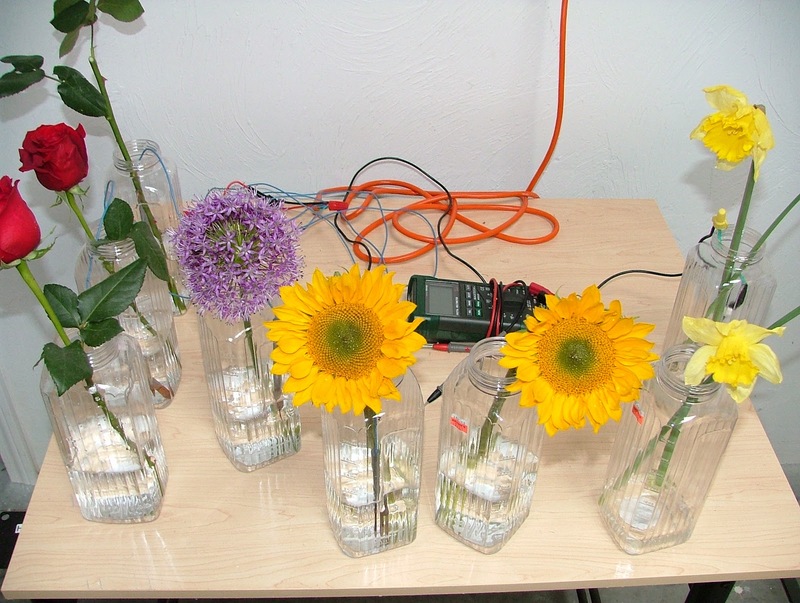 A prototype Earth & Grow device was inserted into the vase on the left. The above photo speaks for itself. After ten days the benefits of reconnecting the sunflower back to the Earth were clearly visible. Wow….remarkable! Thanx for your contributions!